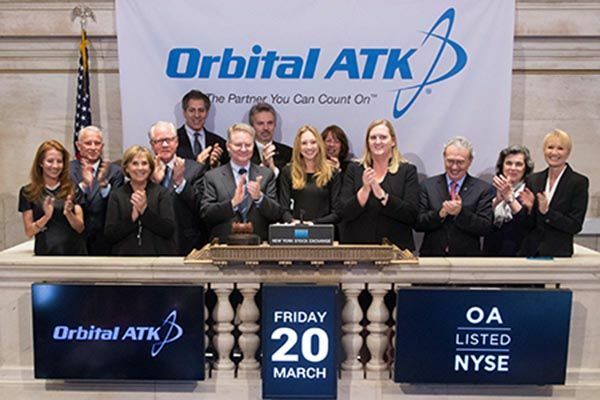 To celebrate the listing of Orbital ATK shares on the New York Stock Exchange, Orbital ATK President and CEO David Thompson and members of the company's leadership team had the privilege of ringing the closing bell on Friday, March 20. A replay of the video is available here. Below are photo highlights from the event (all photos courtesy of NYSE). 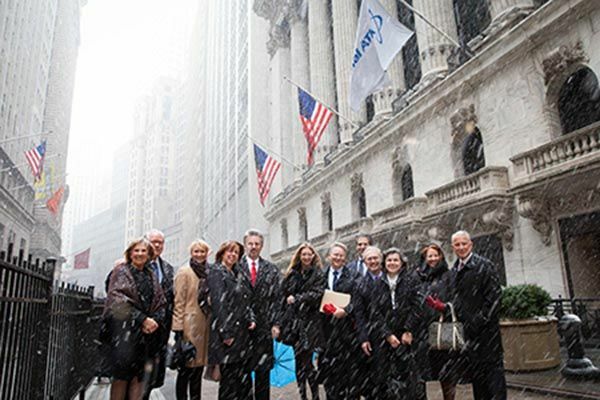 The Executive team and their spouses braved cold temperatures and snow in Manhattan to pose in front of the NYSE building on March 20. The Orbital ATK flag flies above. 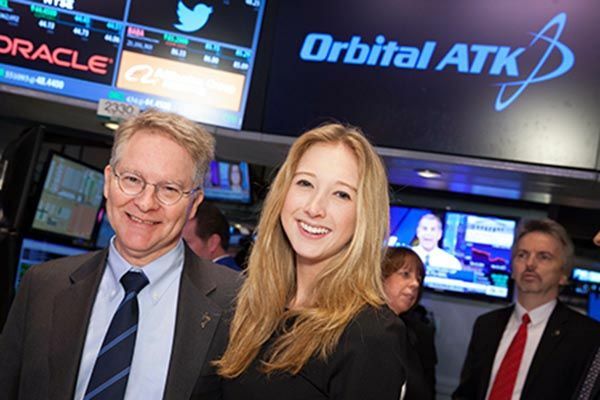 Orbital ATK President and CEO, David Thompson, and his daughter Maggie Thompson, pose for a photo on the floor of the NYSE ahead of the closing bell. The team applauds after David Thompson brings down the gavel to mark the closing of the trading day.